In addition to welcoming the student class of 2022, UNCW welcomes our class of new faculty members to campus. The newest Seahawks became familiar with UNCW during a three-day program, which included a resource fair and a bus tour of campus. 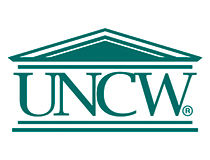 Attracting and retaining high-quality, diverse students, faculty and staff are key components of UNCW’s Strategic Plan. Learn more about the university’s newest faculty scholars by visiting a special website developed by the Office of University Relations.